I wanted to create a thread that has all of my lock mods in it. So here it is. As I remember where I posted various things I will link them here. When I post new lock mods I will either link to them from here or simply post them here. To start off with, here is a new one!! Currently I can't pick it. 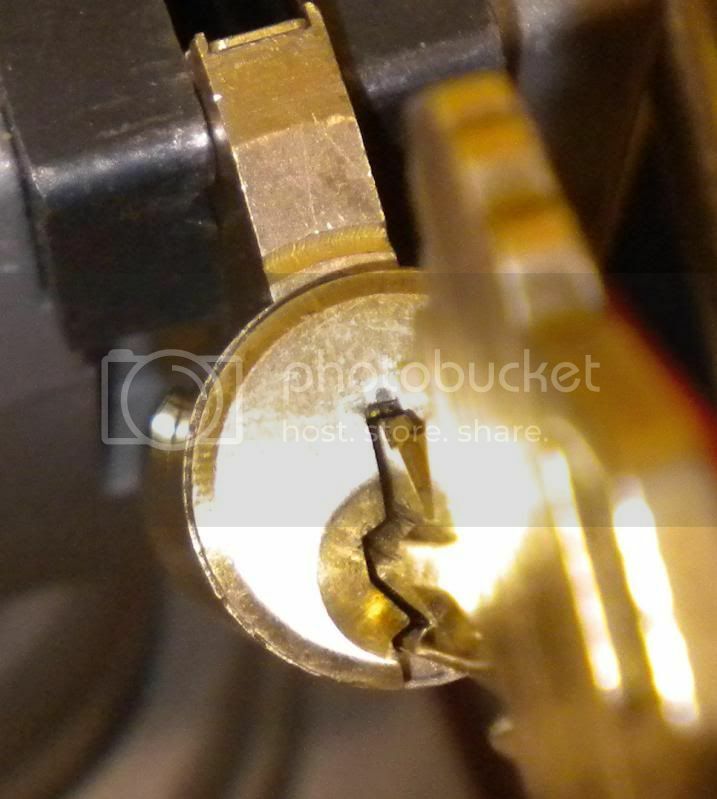 The second pin in the lock comes in from the top left and blocks off a lot of the bottom half of the keyway. 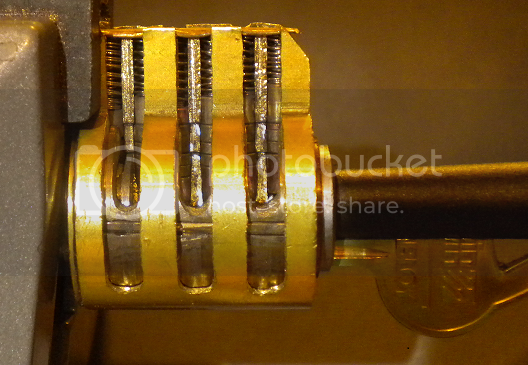 With the key partially in the lock we can see the side pin being pushed far enough to extend past the housing. 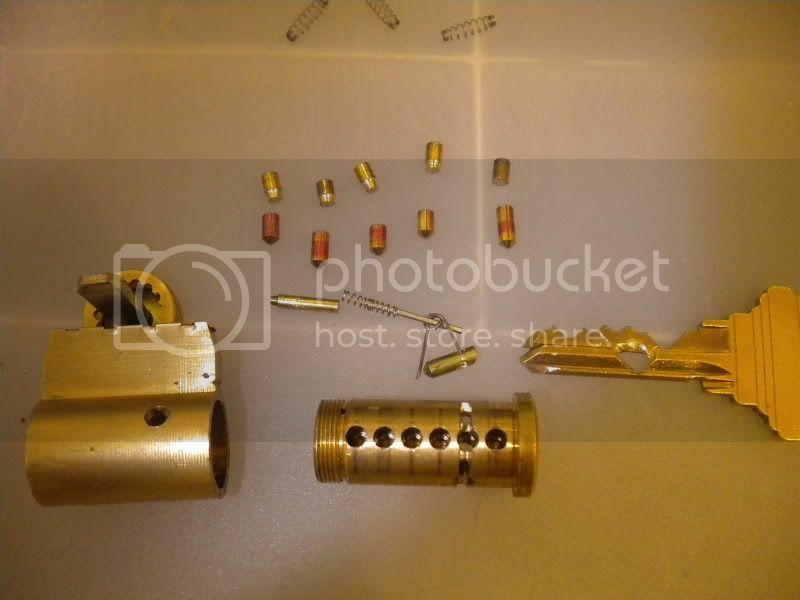 Ok, on to the links of other locks I've modified. Basic threaded chambers and tapped pins. 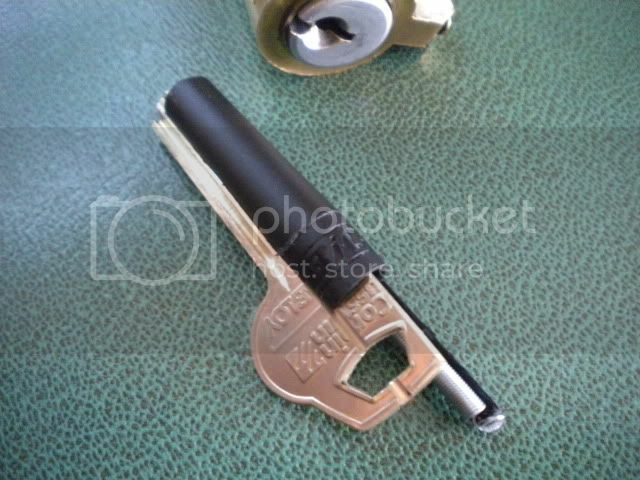 This next one is a 12 pin lock that uses a wave like key. Nightmare Yale. I never did pick this one. However, Toolymcgee did. Simply Incredible. 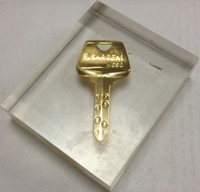 The lock that was never intended to be opened with a key. Custom dimple lock with sidebar! 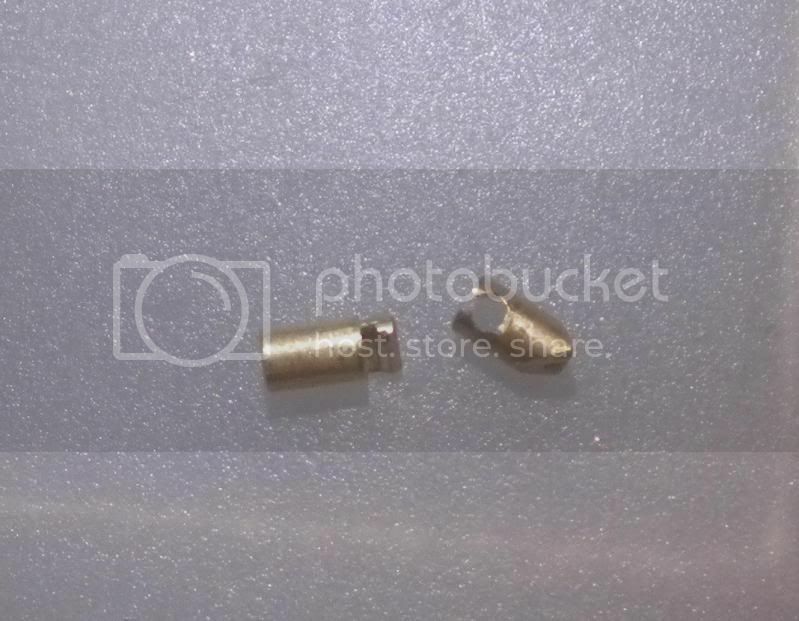 Medeco pins replaced with screws. I never did take pictures of this lock, but I did get it on camera! Awesome stuff FarmerFreak! How do you come up with these things? They are great! Wow! You are very inventive. Do you use a micro/mini mill to create the cutaways? piotr wrote: Wow! You are very inventive. Do you use a micro/mini mill to create the cutaways? I have used a sidemill key duplicator for a few of them. However, most of them are done by hand with files. Stacked T drivers and impression resistant bottom pins/housing. My deceptive padlock. This thing is cool. Multiple shear lines with Assa drivers. Multiple shear line with unusual pins designed specifically for the dual shear line. 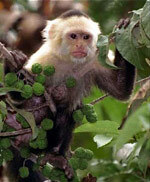 Here is a really old one (you can tell from the really blurry pictures). 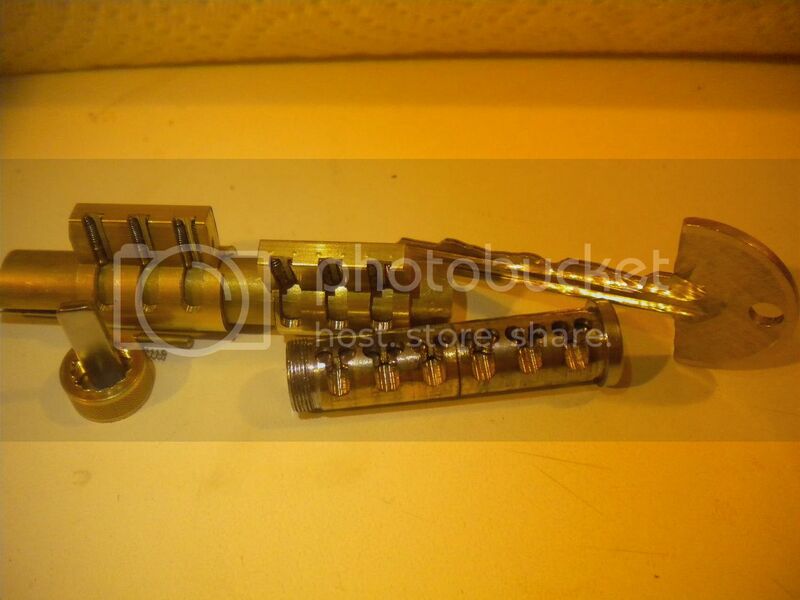 Master padlock where the cylinder is in two pieces. 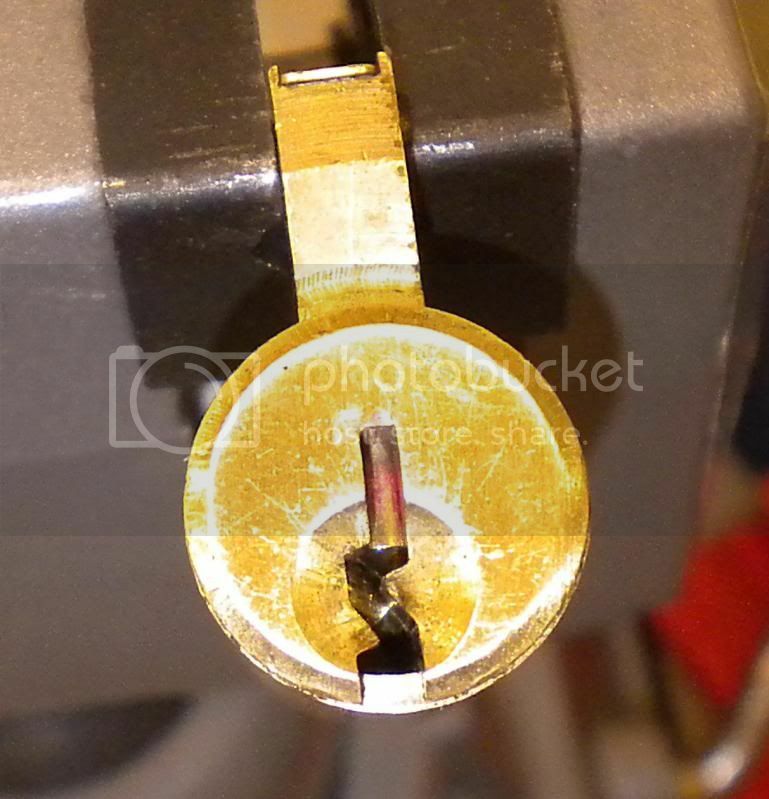 This is almost a serious solution to the problem of someone taking a picture of your key to decode the cuts. But really it's just me playing around with a bic pen lid and a spring. I made an Emhart style pin. At the moment it's nothing more of a test to see if I could do it. I may make more of them and a complete lock later. I just don't have the ambition to do it at the moment. you are nutz! keep it up! Farmerfreak wrote: I made an Emhart style pin. Great job! 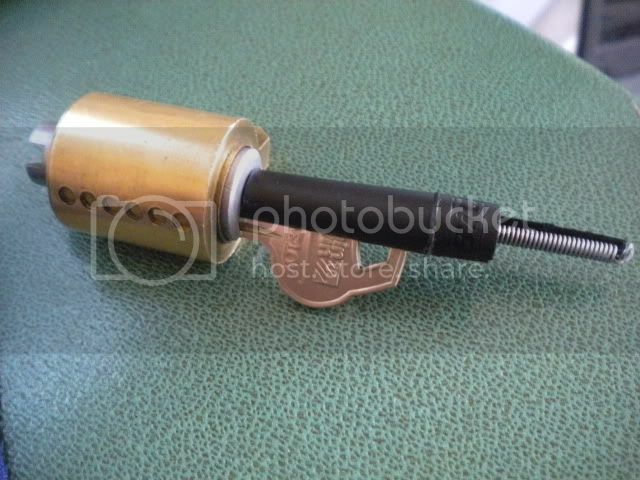 The key pin sits on the key, so it'll be kept at the correct angle when the plug is turned. But what will prevent the top pin from accidentally turn and get misaligned? Not much really. I allowed the driver pin to rotate freely during most of the rotation. 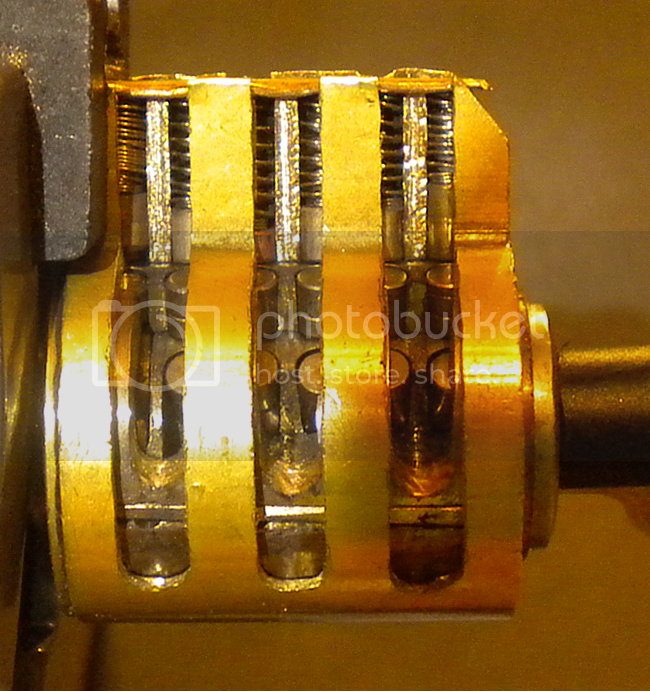 In Emhart cylinders they have a groove that goes all the way around the plug, which prevents it from turning. 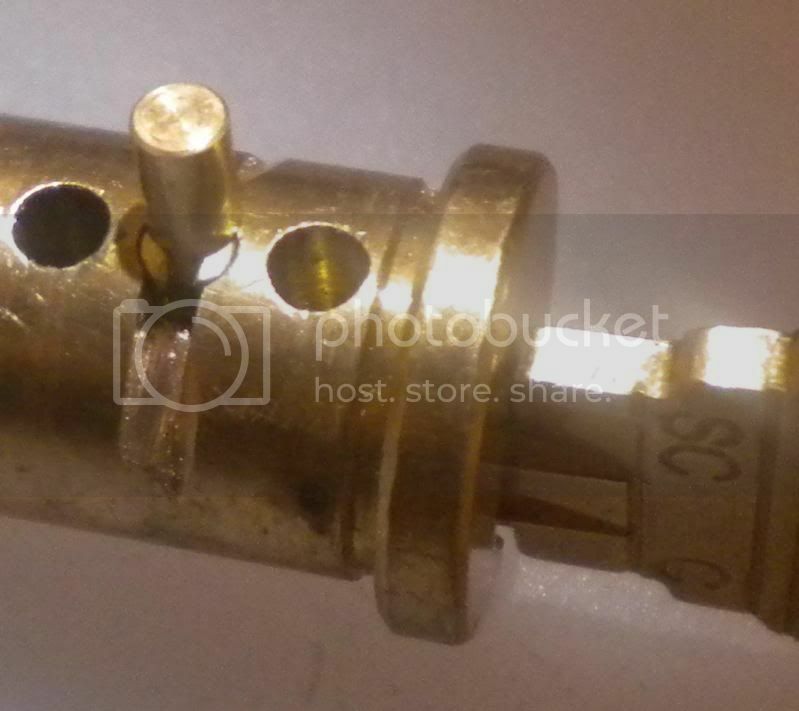 However I've noticed while playing with Emhart cylinders is that if the pin is above that groove, as the plug rotates the pin naturally falls into the groove. So I took advantage of that knowledge and only put the groove next to the pin chamber. And I don't think you can tell very well from the picture, the groove is widened out on one side. That makes it so while the plug is rotating and say the pin isn't lining up with the groove the way it's suppose to to interlock with the pin. 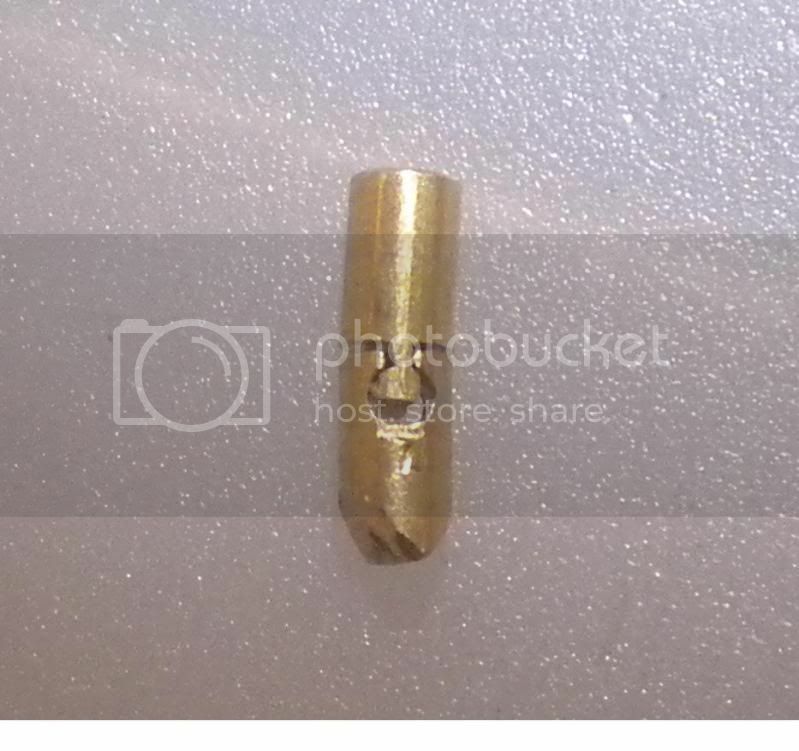 When the pin starts to go over the groove, only one side of it is lifted up, since it is only held up from one side and the plug is rotating, the pin naturally turns until it lines up and drops down into the groove. It does make sense... very clever solution! What does the BIC pen cap do? jeffmoss26 wrote: What does the BIC pen cap do?